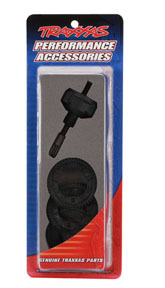 Traxxas Center Diff Kit for Slash 4x4 Discounts Apply ! TRA6814 - Traxxas Complete Center Differential Kit. Allows you to install the differential in a matter of minutes. Fits Stampede, Rally and Slash 4x4.